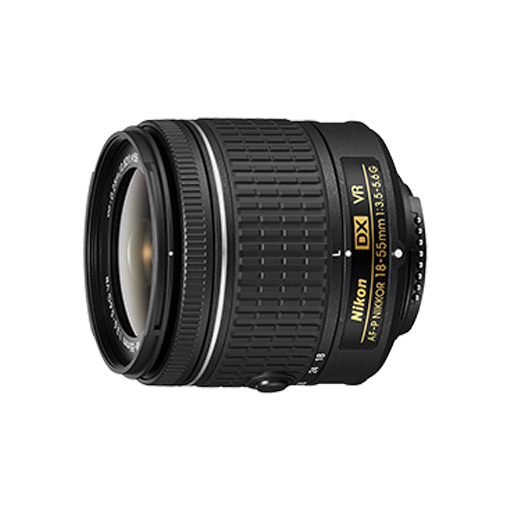 Follow your creative instincts wherever they take you with the new AF-P DX NIKKOR 18-55mm f/3.5-5.6G VR. Featuring a stepping motor – a first*1 for NIKKOR lenses – and built-in Vibration Reduction, the 18-55mm*2 lens lets you seize every photo opportunity with speed and stealth. Perfect for Nikon’s D3000-series and D5000-series*3 cameras, the AF-P DX NIKKOR 18-55mm f/3.5-5.6G VR’s light, compact design make it easy to capture any moment.